First of all we will define the information systems we are dealing with in this article: accounting system, ERP, CRM, e-mail organizations and even payroll software, you have correctly read payroll software. 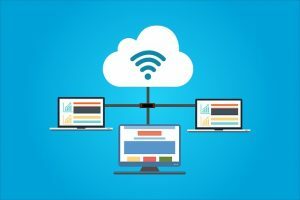 And now we’ll talk about Buzz Ward from cloud computing: Under the name of cloud computing, there are a number of different services currently hidden: “Cloud” is connected to every area of ​​the computing world. Servers, storage, backup, software – everything floats in the direction of the clouds, including the concept: private cloud – which is a tiled name for storage in a remote environment. In this article, we will focus on the cloud of a software-as-a-service ( SaaS – Software as a service). In other words, we will pay for all the software mentioned above as a service without the need to purchase licenses and payments in advance, but a monthly payment according to use and there are those who increase to do Google charge for use in storage minutes! Focusing on the functionality of the product (software): So far, computing projects have been divided into three parts when the organization has done them and the rest have been outsourced to the following people: Headed by the project manager. 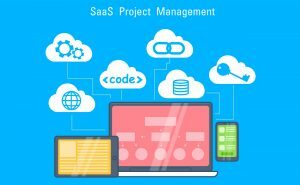 If we use the Saas product, we eliminate the need for system personnel and developers and these capabilities rely on the supplier and focus on responding to the functional needs of the organization. All the programs know how to receive and produce Excel files in formats known to be called by other software. This means that switching from one program to the other in Saas. What we need to do is to purchase monthly licenses to receive the Excel files, so that during relatively small increments, it is easy to switch from one software product to another. Information Security – It’s a surprise to find this section in the benefits section, but let’s think a second when I build and maintain a firewall I need to spend a lot of money on security. And when a number of customers come together to store a SaaS product in one of the resources that can be allocated and are indeed assigned to secure large data from a single firewall. Let’s take another moment on the security section today: your private money. Most of which can be drawn by a credit card which is protected by two fields of four digits each. (The two additional fields are mainly used to identify your credit card company and bank.) When you connect to the Saas product, there are at least three fields at the entrance to the software: 1. Your organization 2. The user 3. Your password (approximately 20 characters each). Geo-dispersion – The use of Saas products allows geographic distribution of the organization even when the organization is dispersed across different countries / continents, but even when some employees want to work from home and when there are working mothers that you as an employer Want to lose and want them to be able to complete some of the work in the evening. For example, if you rent expensive office space in Tel Aviv and you want to expand the accounting department, you do not need to rent additional rooms, but you can allow the additional worker to work from home and thus save the fixed expenses of the rental. Everything is accessible and “talking” to each other over the Internet without the need to build a physical infrastructure for the servers, just buying a SIM card and a decent surfing package. Availability – Last but not least, the product you use, whether it’s an accounting system, ERP, CRM, and even corporate email, is available 24/7 without any need for backups and program preparation For an emergency derived from a risk management analysis (CRO). The infrastructure already exists – There are definitely situations in which cloud is not the ideal solution, especially for very large environments with already ready infrastructure and the initial investment in building the data center. This is not to make a decision of good money after bad. Sensitive business information – organizations with sensitive information, as it does not seem likely that a bank will transfer customer data and account status to a cloud service, however secure. Clouds are an excellent solution, but not all the challenges. We looked at a customer type that is not likely to implement a cloud solution, although such a customer also has more than one environment and one reason to consider switching to the cloud. 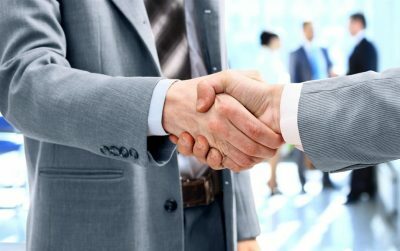 We dealt mainly with a small-medium-sized business (SMB), including start-ups who wish to focus on their core business, rather than developing and maintaining computerized systems of the aforementioned types, such as: accounting system, ERP, CRM and even organizational mail (very common in Israel) . Which wants to deal with development that is business rather than infrastructure. The key features that have tilted the scales towards cloud selection are ease of use and time ranges. When in the cloud the client can set up servers in the shortest times measured in minutes, without a real limit, so that one customer can also set up 100 servers in less than an hour. And all are identical to each other except the IP address and all this easily and conveniently by using the WEB portal, CLI or REST interface. 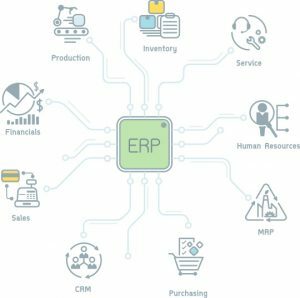 Cloud ERP Vs. On-Premise ERP (enterprise resource planning)? PSA (Professional Services Automation) Or ERP PSA on Cloud ?